New York : Poor and unhealthy diet coupled with lack of exercise and a sedentary lifestyle may accelerate the ageing process in humans, warn US researchers. A type of cells called senescent cells contribute to diseases and conditions associated with age. The researchers found that exercise prevents premature senescent cell accumulation and protects against the damaging effects of an unhealthy diet, including deficiencies in physical, heart and metabolic function. "We think that at both biological and clinical level, poor nutrition choices and inactive lifestyles do accelerate ageing," said senior author Nathan LeBrasseur from Mayo Clinic in the US. In the study, researchers introduced mice to either a normal, healthy diet or a diet that they termed a "fast food diet" -- one that was high in saturated fat and cholesterol along with a sugar-sweetened beverage. Mice on the fast food diet showed harmful changes in health parameters, including body weight and composition, increasing their fat mass by nearly 300 percent over the course of about four months. Half the mice, including mice on both the healthy and unhealthy diets, were given exercise wheels. The findings showed mice that had been exposed to the fast food diet but exercised showed suppression in body weight gain and fat mass accumulation and were protected against the accumulation of senescent cells. "It doesn't mean that we need to be marathon runners but we need to find ways to increase our habitual activity levels to stay healthy and prevent processes that drive ageing and ageing-related diseases," LeBrasseur noted. This is the second call I am making for the need for this new development in all our maternity hospitals. I hate the situation of motherless infants and infants whose mothers have less milk than they need. They need milk banks. Mothers who have more than needed milk could (should) donate that to a bank in the hospital that might need it to feed premature babies. Some people (the wise ones) thought I was crazy. Now, new research shows the benefits of human milk for babies. Mothers who have ‘extra’ breast milk can donate it to the banks, after undergoing a screening process that includes blood tests for diseases like HIV and hepatitis. The milk is pasteurised, like any other milk. The practice may boost breast-feeding and reduce dangerous gut infections. Researchers have found that the number of California hospitals offering donor breast milk rose substantially between 2007 and 2013—from about 21% of all new-born intensive-care units (NICUs) to 41%. Concurrently, breast-feeding incidence has been going up—another boon to children. “Infants also were less likely to develop a potentially dangerous gut infection called necrotizing enterocolitis,” according to findings published online 22nd February in the journal Paediatrics. With pre-term babies, breast-feeding might be a challenge. But, often, women can’t express enough milk. In those cases, donor breast milk is considered the next-best option. 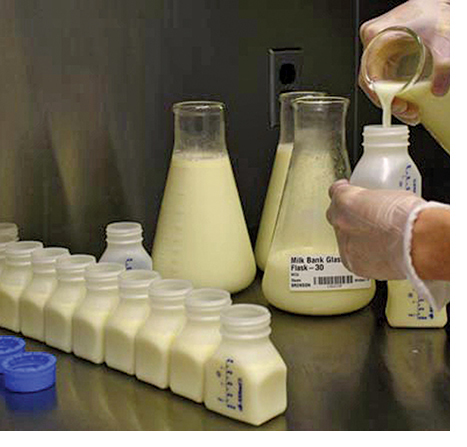 Hospitals get that milk from non-profit milk ‘banks’. BP Lowering Drugs Dangerous for Diabetics? How prophetic was my observation, years ago, that too much lowering blood pressure (BP) in diabetics might not be a good idea! Now comes a bombshell in the British Medical Journal. The researchers—including Mattias Brunström of the Department of Public Health and Clinical Medicine at Umeå University in Sweden—found that anti-hypertensive drugs may increase the risk of cardio-vascular death for diabetes patients with a systolic blood pressure under 140mm/Hg. The American Diabetes Association recommends a target of less than 140mm/Hg systolic for patients with type-2 diabetes, though a target of less than 130mmHg is recommended for some patients, if it can be achieved safely. 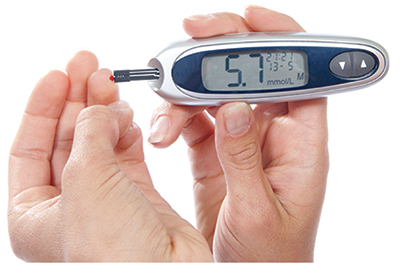 The team conducted a meta-analysis of 49 randomised controlled trials involving a total of 73,738 participants that looked at the cardio-vascular outcomes of people with diabetes on anti-hypertensive medications. The subjects were followed-up for at least 12 months. The researchers found that participants whose BP was higher than 140mm/Hg before treatment had a reduced risk of stroke, heart attack, heart failure and all-cause mortality. Among subjects whose BP was less than 140mm/Hg prior to anti-hypertensive treatment, however, no cardio-vascular benefits were identified. In fact, these participants were found to be at greater risk of cardio-vascular death. 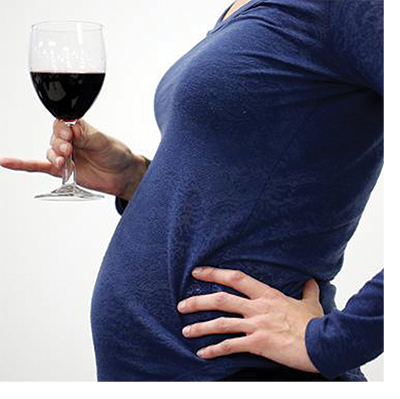 Even a small amount of alcohol in pregnant ladies would put the foetus at risk of alcoholism for three generations. Many of the teen problems in the world could have emanated from pregnant mothers consuming alcohol. “Factors affecting teen drinking habits are varied and complex. They include the desire to engage in risk-taking and rebellious behaviour, as well as the wish to impress and to sustain popularity among peers.” We must start a movement to advise pregnant mothers to keep away from alcohol. Science is trying to understand this universe with the means available, using our five senses. Over the years, sciences were divided into natural sciences, social sciences, political and economic sciences and, of course, human sciences, etc, thanks to Rene Descartes’ reductionism. Progress in many fields was stunted due to this caste system. There is the forward caste of natural sciences and the backward and untouchables in other fields. For example, social sciences were treated as second-class science. Most of the Western natural sciences are dying a natural death, with the advent of quantum physics and the acceptance of consciousness into science from the realm of philosophy. The original Greek root of the word science is philosophia. This has brought forth a new dimension to science—what is called biocentrism—the origin of all human (and animal) thought and behaviour is centred on our perception of this world. Everything depends on our consciousness. 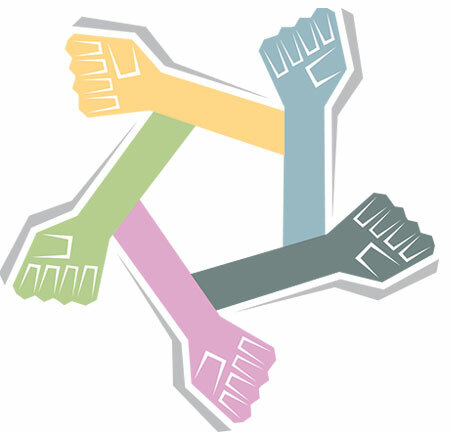 Each of us has individual worldview (biocentrism). It was beautifully put by Max Planck who said that “there is no perception without a perceiver.” He also emphasised that the whole world is but consciousness and all matter is derived from there. This automatically puts social and all other human-related sciences into the same basket as natural sciences. The latter is undergoing a sea change after the advent of quantum physics. Biology is fast changing into systems biology and the new evolutionary biology. Human physiology needs a drastic change to keep man alive on this planet and so do other natural sciences. This, therefore, is the ideal time for a change of heart among those that want to understand this universe (multi-verse). Only a unified concept of science (organised curiosity with logical scepticism) can accomplish this, as the conventional natural sciences can only grasp as much as their five senses let them. Now, we are able to comprehend much more than what we grasp with our five senses. Any change is resisted by the status quoists. They have their vested interests in keeping the system the way it is, since reductionism in science feeds the greedy business of drugs, instruments, chemicals for fertilisers and what have you. The so-called conventional natural scientists and their paymasters will not let this happen. For the common good of the common man, sciences will have to come together which will make all the ills of single systems fade away. There are few independent thinking people in this world that will stick their neck out for their principles to save mankind and go after the reality. One small example will do. We have been spending lakhs of crores of rupees for the moon mission, etc, while we have the highest number of malnourished children (47 million) who do not get enough money to feed them; they are dying daily of nutritional immune deficiency syndrome (NIDS). We let them die! In case we had all the sciences come together, and if we have humane managers of funds, one would certainly think that keeping dying children alive has greater priority than going to the moon. The latter can certainly wait. Another humane scientist might think of researching to make man tranquil here to be able to land in his neighbour’s house with a smile on his face. That would be a greater advancement—to bring man and man together—than landing on the barren moon. One can go on and on giving more evidence to say that ending the caste system in science will benefit mankind. Science satisfies our curiosity to know how this world works. But one gets only a keyhole view of the world. While reductionist science is destructive, holistic sciences will help build bridges of love between man and man.